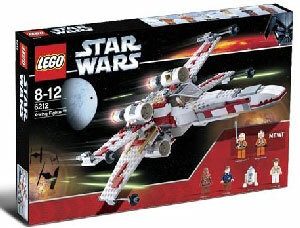 Description Of Item: Build one of the most famous ships of the Star Wars saga! In the hands of the Rebel Alliance?s brave pilots, the X-wing starfighter helped to destroy two massive Death Stars. With S-foil wings that open to attack position, folding landing gear, a cargo hold and lots of authentic details, this Limited Edition Star Wars set includes the first-ever LEGO minifigure of Rebel hero Wedge Antilles, as well as several hard-to-find characters.